Cold process soap is a way to make handmade soap using the chemical reaction between lye, fats, and oils. Normally, a soap recipe requires mixing a weighed amount of dry lye with a measured amount of water. However, you can substitute the water in most cold process soap recipes with milk. 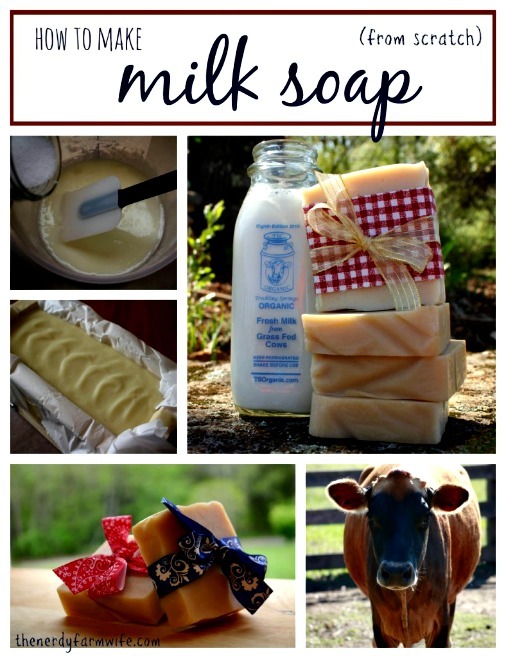 In this article, Jan explains how to make soap milk from scratch. You can use milk from cows, goats, coconuts, almonds etc. Since milk contains sugar, the challenge is to prevent the sugars from scorching when combined with lye. Jan shares a neat way to avoid scorching the milk. This is a very complete tutorial with step-by-step directions, photographs, and many useful tips. Click the How to Make Milk Soap from Scratch link below to see the complete tutorial.